Gain perspective over your planning. Set up projects and plan related activities, in an intuitive and customised environment. 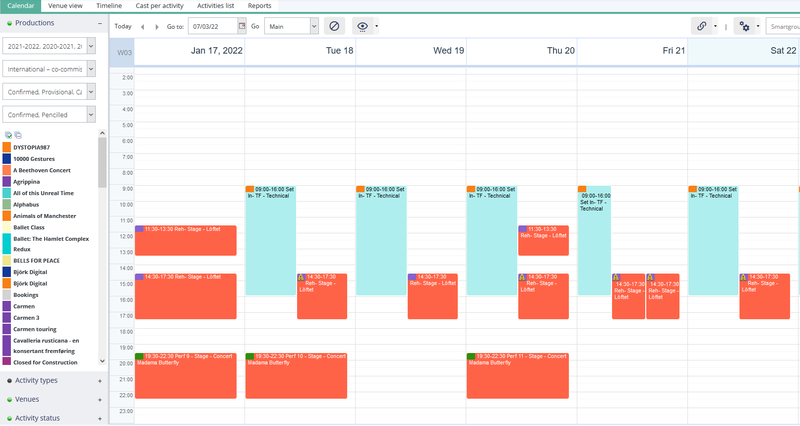 Manipulate schedules in real time and share them with your team. Within #DIESE, create and edit activities easily. Simply link them to your projects & venues, and involve the right people and resources. Use dynamic filters to gain perspective over your planning. #DIESE is accessible from any web browser, and developed in responsive design. Look up and work on the general planning from any device. Edits to activities will be shared with your team in real time in their personal space. Generate structured reports as well as customised working documents - in PDF, Excel format & more. Use our APIs to integrate your planning into your website or interface.